In an announcement released on Wednesday, study leader Delphine Boche, Lecturer in Clinical Neurosciences at Southampton, says: "Many of the known risk factors for Alzheimer's, like age, obesity and diabetes, increase inflammation in the brain and we think that infections could be another risk factor." 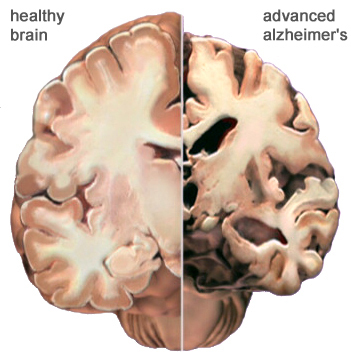 "There is already evidence that the immune system is on high alert in people with Alzheimer's and we think that an extra trigger, like an infection, could tip the balance and make immune cells switch from being protective to harmful," she adds. Alzheimer's Research UK has already put £300,000 into the project. The money is part of the charity's £20m investment in leading dementia research in the UK. The study started in January 2013, and will add to the growing pile of evidence that shows how the immune system is implicated in Alzheimer's disease. The Southampton team believes that in Alzheimer's, the immune system goes beyond its role as protector of the body and starts causing damage, like it does in an autoimmune disease. For their study, Boche and colleagues will use brain tissue generously donated by people who had Alzheimer's disease when they died. With reference to donors' medical records, the researchers will compare the brains of those who had infections when they died with those who did not. They will be particularly interested in immune cells known as "microglia", which go around mopping up cellular debris. They will use fluorescent tags to label the cells in the brain, and look at them under the microscope. The team will be looking for signs that infection causes distinct changes in microglia in people with Alzheimer's. Boche says they believe the microglia may produce chemicals that are harmful to surrounding cells and make Alzheimer's worse. "The findings could have important implications both for our understanding of the disease and for the management of healthcare in the elderly," says Boche, adding that she and her team are "incredibly grateful to Alzheimer's Research UK and their supporters for providing us with the funds to make the research possible". The hope is the findings will increase understanding about how to delay the progression of Alzheimer's, a disease that affects over half a million people in the UK. Eric Karran, Director of Research at Alzheimer's Research UK, says: "Slowing the progression of Alzheimer's could have a huge impact on families and allow people more valuable time with their loved ones." "Only by understanding the factors that drive the disease, can we develop new and innovative ways to slow it down," he adds. Last year, several new studies helped with funds from the charity, showed that inflammation plays an important role in Alzheimer's, and the charity expects this latest project will build on those results. In June 2012, scientists in the US reported the results of a small trial where a group of Alzheimer's patients treated for 3 years with an immunotherapy drug showed no symptom decline over the treatment period.